The supplied TV pin can be mounted on any device and snaps independently into the adapter. With the help of the screw plug, the pin is secured against unintentional opening. 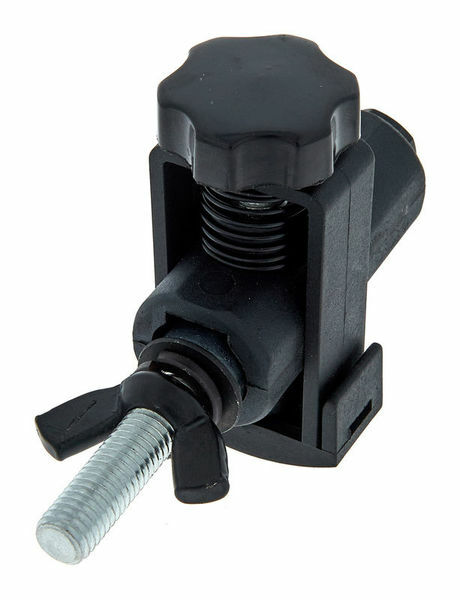 The adapter can be mounted as required using the M10 thread and the supplied M10 screw, for example on a half coupler. Something so simple that can really save time with fiddly bolts while your trying to hold a light fixture against the T-bar! I've got 4 so far but I'll be changing all my fixtures to these! Strong , feels safe, fast! ID: 390479 © 1996–2019 Thomann GmbH Thomann loves you, because you rock!